Spring has well and truly sprung here. Tulips, daffodils, alliums are blooming their little faces off. Yes there's been a photo or two. You're probably bored with them. 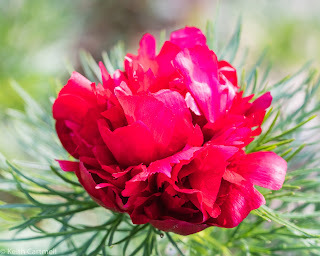 There is a fern leaf peony in the back garden that has won the race as first peony to bloom. All the others have been working on it, and there's great promise, but nothing more than buds. Such a beautiful deep red. There don't happen to be ants in this shot, but that's just your bad luck. If you want to see ants, and how the other peonies are doing, check this one out, and scroll to the bottom photo. The long promised People gallery is now open! You might have missed it, check it out here. My back and legs are much less cranky today, and I ended up having a nice swim. The left IT band is so tight my massage therapist nearly made me cry working on it. I didn't think it was that bad. But overall today I wanted to run. Maybe Tuesday after work. I'm feeling a lot better about the half marathon coming up quick. 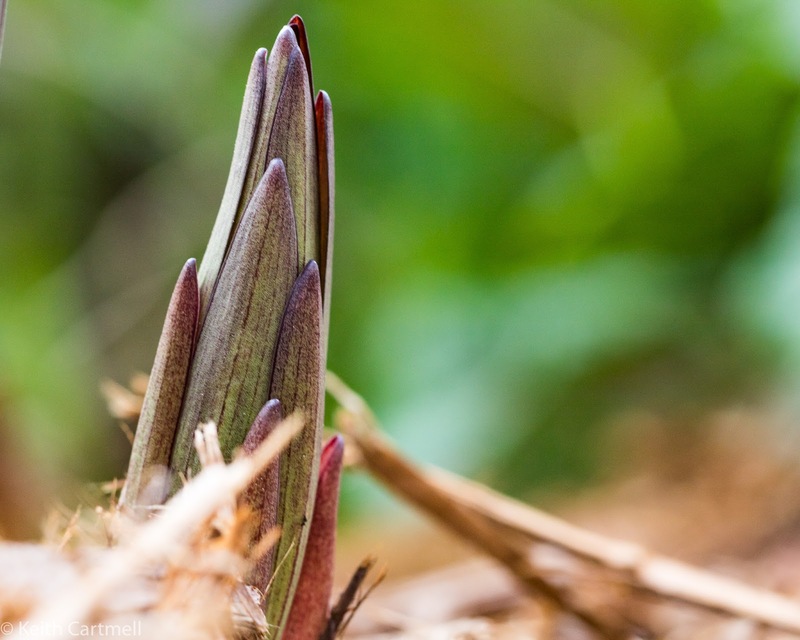 This lily is just bursting out of the ground! It's almost like a little rocket ship.